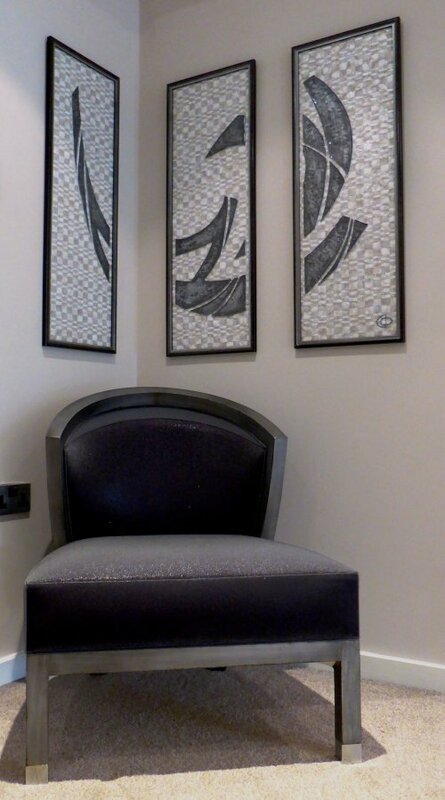 Original artwork executed on mother of pearl panels. Each piece is surrounded with a metal frame, but all three pieces create a complete design. This format was chosen to fit in to the corner and looks great from any direction.